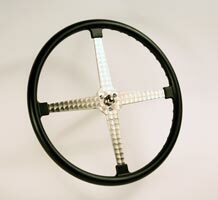 Speed and Chrome Studios has taken the functional styling of the Sprint Car Steering Wheel and given it a classic touch. This handcrafted wheel has engine-turned and polished spokes made from type 304 stainless steel. Comfortable to grip, the rubber covering is cast in the original “Bell Auto Parts” sprint car mold. 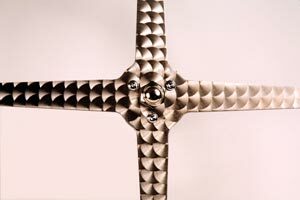 It has finger grips and uses standard three-bolt mounting. 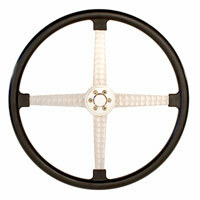 This piece of functional art looks right in a hot rod, sports car or early racecar.